Original Mandate to keep A303 out of sight of Stonehenge. Tunnel & Route essentially configured to comply (max length =2.8km). Tunnel then moved east so that eastern portal was east of The Avenue. Since then Heritage Community trying to move goalposts by insisting that A303 should not be visible from WHS, and certainly not from Visitors Centre Tunnel not regarded as long enough. Want it to be at least 4.7 km to move the exit out of WHS. Extra cost prohibitive (Total £2 billion). At present not an option. “Blatant Vandalism / Permanent Disaster words from some very influential archaeologists. The fund raising has been extremely successful and we want to thank Druids Estate and every home owner and tenant from Berwick St. James, Winterbourne Stoke and Stapleford who has contributed so generously. 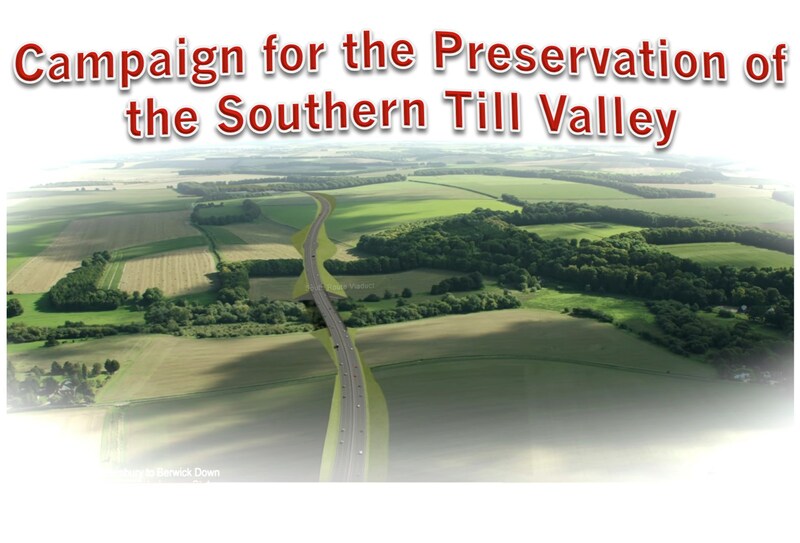 Even if the Northern Route is chosen in August, we propose that any remaining funds are kept, to support the additional actions of the Southern Till Valley community, to mitigate the impact of the Northern Route on the Till Valley ecology and landscape.